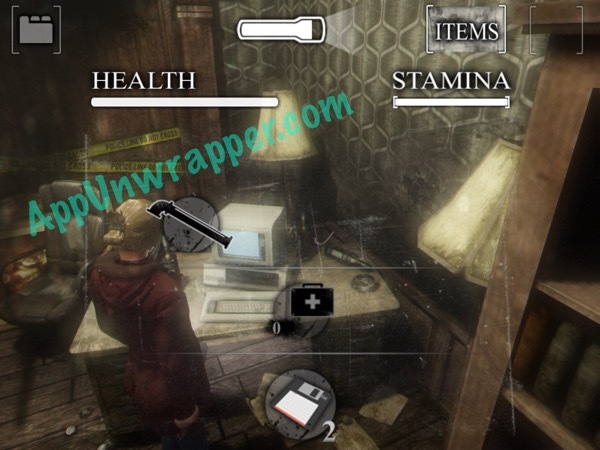 This is walkthrough guide that will provide help, hints, tips and tricks for the iOS game Forgotten Memories : Alternate Realities by Psychose Interactive Inc (Psychoz). It’s a work in progress, so please bear with me. Please help fill in gaps if you can. Feel free to ask for help in the comments section. See my review of the game here. Note: If you’re having a lot of trouble with the game, you might want to wait for the update to come out with the easier mode. You can move by using the invisible joystick on the left side of the screen. Rotate the camera with the right side of the screen. If you align yourself with an item, you might encounter an exclamation point. Tap it and you can interact with the item. 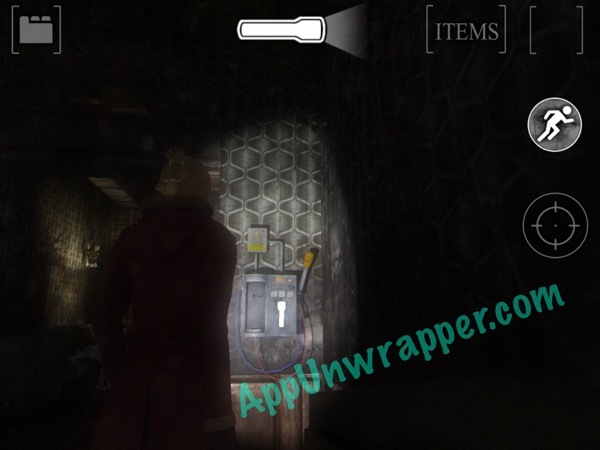 Your flashlight is how you see in the game when it’s dark. But it has a limited charge. Pay attention to the battery at the top of the screen tap it to turn it off when you don’t need it to conserve energy. Also, look for charging stations like this one. Tap the exclamation point to charge. 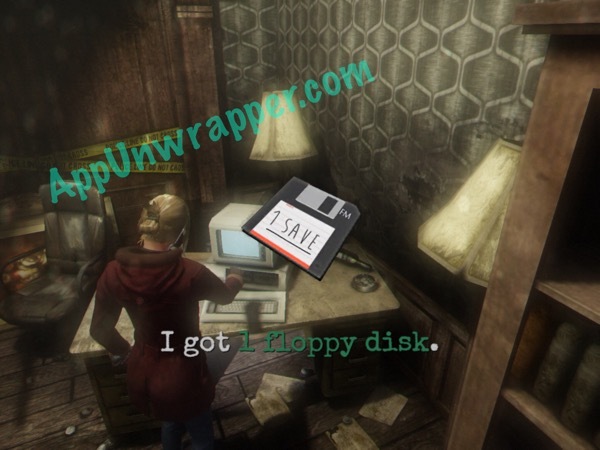 The only way to save in this game is by finding floppy disks and using them on a PC that you find. 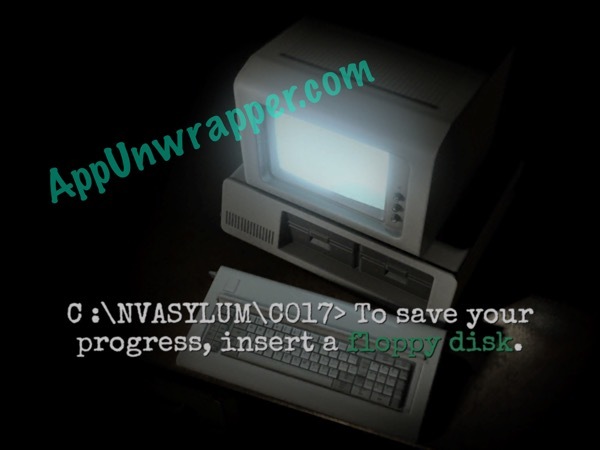 There are limited floppy disks throughout the game, so use them wisely! Once you have a floppy and are near a computer, go to your bag of items and take it out to use it. I’m not sure if there’s any downside to using it, but if you press the little running man icon to the right, you can move a little faster. It stays on, so you don’t have to keep tapping it or anything. You may need to keep an eye on your stamina, though. Equip your weapon from the item menu. Rose should be holding it now. When you want to use it, select the crosshair to the right. It should be highlighted. Then tap the screen to attack. With your first weapon, the pipe, you’ll swing it. If a shadow monster grabs you, an image of an iPhone will appear on your screen, telling you to shake your device. You need to shake it to get free of the shadow monster. There’s two by the computer right after you complete the opening credits. There’s one in the locker room. I believe I found one in the kitchen (can anyone verify?). There’s one right after you complete the opening credits. There’s another in a small room near the bathroom. There’s one in the second room right after you heal from the med pack. There’s another right where you wake up after the opening credits. There’s one in the bathtub in the bathroom right near where you wake up. Pipe: Pull it out from the mannequin on the couch right after the opening credits. Sorry, I never got through the game. I found the controls too frustrating.